"I feel largely the same, as sharp as I've ever been, for me it's wanting to be proactive," said Borland. "I'm concerned that if you wait till you have symptoms, it's too late. ... There are a lot of unknowns. I can't claim that X will happen. I just want to live a long healthy life, and I don't want to have any neurological diseases or die younger than I would otherwise." The head trauma crisis has seemingly loomed over the NFL for the last half decade or longer, with Pop Warner participation rates declining, beloved former players who suffered from Chronic Traumatic Encephalopathy (CTE) committing suicide, and a billion dollar concussion settlement between the league and former players still unresolved. 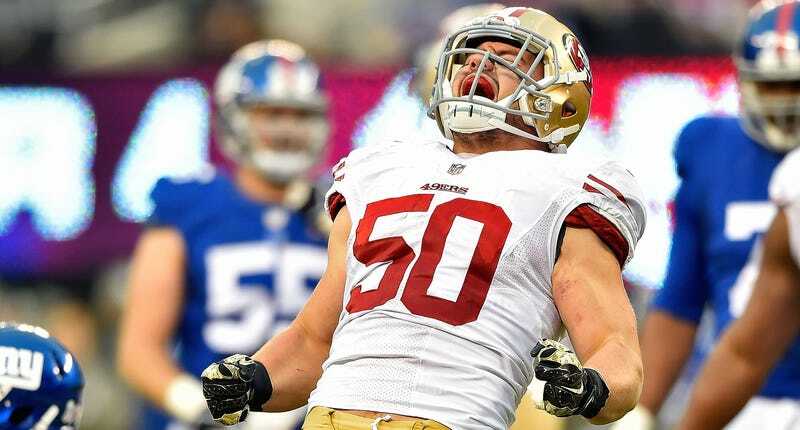 The question now is whether Borland's retirement is the beginning of a trend, or something that will be looked back upon in five years as merely a blip on the radar. Borland told Outside the Lines that he began considering retirement as far back as training camp, when he believes he suffered a concussion but played through it in order to try and make the team. After the season he says he met with former players as well as doctors, which only further solidified the decision. He plans on going back to school at Wisconsin—where he graduated with a degree in history*—to work towards his new career, possibly in sports management.